Half saree designs have been taken as the most exquisite womens clothing in the South-Asian nations have dependably stayed in mold. A traditional half saree on other hand is a cutting edge type of Saree that is increasing immense prevalence at present. Half n half saree is an adjusted chic variety of the customary Indian clothing. Latest half sarees contrast from the conventional sarees because of their much adjusted shape. Latest Half sarees have the creases done in differentiating shading. Latest half saree designs have an alternate kind of adornment i.e. a striking shading blend. The one of a kind shading combo enables the creases to look particular and wonderful from whatever remains of the saree. Half saree with designer blouses or any kind of blouses for wedding can go about as an incredible alternative for Indian Sangeet functions, Mehendi services, weddings and mixed evening parties. New half saree designs are exceptionally beautiful with loads of weaving. Half saree are for sure the cutting edge type of the customary Indian article of clothing. New model half sarees are here and there plain with creases comprising of differentiating surface that influences the whole saree to look rich or loaded with weavings that influence you to look customary yet exquisite. These new model half sarees influence you to look fun loving by its superb hues and enable you to emerge as the most stylish amongst your circle of friends. You can settle on a plain new half saree designs for weddings or for a formal event and you can pick a saree loaded with weaving and jaris for big capacities like wedding services. The plain one will give you a basic formal look though the weaving filled saree will give you a conventional look. New model half sarees have a capacity of pulling in each lady's psyche even of the ones who don't favor brilliant sarees. Party wear half sarees can be found in all scope of hues extending from dim, miserable to excellent appealing brilliant hues. New model half sarees look well in a wide range of hues either in brilliant or quieted hues. Splendid hues like Mustard-maroon, red-emerald green, wine-gold, purple-pink look astonishing on ladies. Quiet hues like gold-dark, dark dim, red-dark, and grayish beige likewise look great on ladies. Half and half silk sarees look great on tall ladies as the complexity of the creases and the examples of the saree are carried out well when lady with a tallness and an all around conditioned figure wears the half and half saree. Notwithstanding, this doesn't imply that they look awful on short or thin ladies. Picking a half saree design with a shading that shoots your appearance, with a lovely example that shoots your identity will enable you to emerge of the group. Half sarees designs with price can be found on assortment of garments running from silk, chiffon, crepe, georgette, cotton, and so forth. 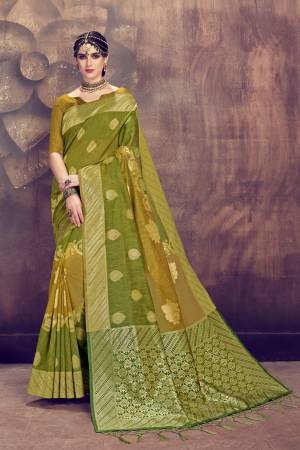 However designer half sarees are made of georgette, chiffon, crepe, are the best textures to purchase this kind of saree. Their plan and patter does not get dominated in these textures. You can fasten a coordinating pullover that you have picked up with the saree or settle on an alternate shaded shirt to finish the clothing. High foot sole areas will demonstrate you all more dazzling in this clothing. On account of adornments you can pick as per the event. In the event that you are settling on a plain one, for a formal reason its better on the off chance that you maintain a strategic distance from overwhelming adornments and embrace a modest excellent pendent and arm ornament yet in the event that you will wear a substantial container filled half saree, it's smarter to pick a Kundan gems set or something substantial like that. Saree is no uncertainty rich clothing however to feature it all the more flawlessly you have to finish the look with an impeccable accessories and embellishment. The plan of the shirt likewise assumes an imperative part in showing your identity. You can choose a risqué choli, a mirror work choli and finish it with a decent design and ghungroo on it. This will give you a look of a gem. The fundamental thing you have to take care of is getting a saree that matches the event and finishing the look with required embellishments. Saree shows a lady's style in a way no clothing does. So be watchful while you pick. Wear the half saree in a flawless way and yes convey it with full elegance and magnificence. The identity you take it off while wearing it will influence you to look more lovely and appealing. Take it away in such a smooth way, to the point that you wind up ready to knock some people's socks off around. There are a lot of half sarees designs online in advertise. On the off chance that you are expecting to get one don't give a hesitation, simply let it all out, you won't lament. 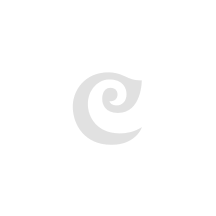 Craftsvilla is an online ethnic shopping store situated in India which offers the most recent accumulation of half Sarees for ladies and a wide gathering of garments online. This website has an extremely easy to understand interface, where you can influence online buys of ladies to attire and offer expedited service more than 200 nations. With the innovation progressing dangerously fast and women’s attire quickly evolving patterns, looking for immortal patterns and plans has turned out to be less demanding than at any other time and we at Craftsvilla expect to stay aware of the patterns by refreshing our accumulations with the most recent styles each and every day. Our most recent plans are dazzling as well as accessible at stunning, reasonable costs, truly only a tick away! We remain for the expression esteem for cash and will dependably intend to make a great, satisfying shopping background on the web. Shop with us and invigorate your ethnic storage room each and every day. Go to our site to get in on the most recent patterns or download our advanced mobile phone application to benefit best costs and never-seen styles for ageless Half saree designs that weave stories of style, regardless of what the event requests.